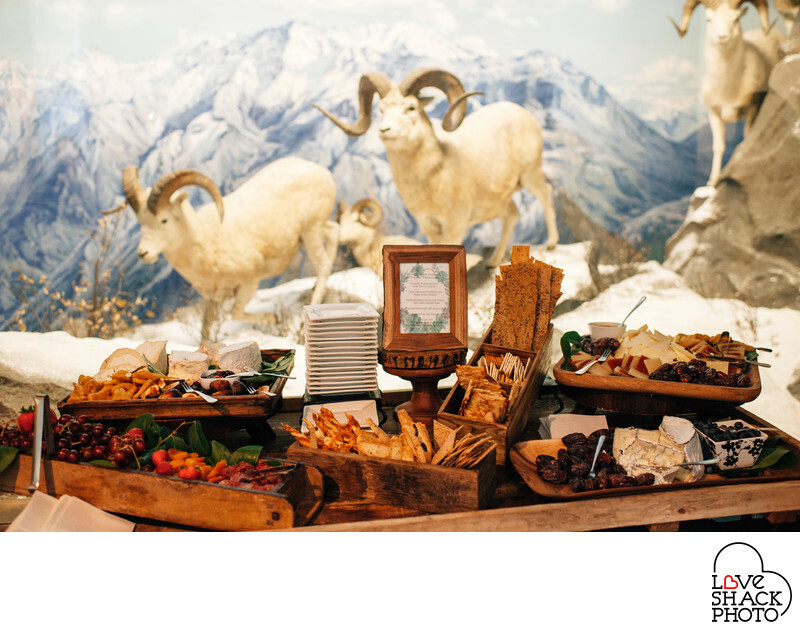 This gourmet spread for a batmitzvah was created by 12th Street Catering with the Academy of Natural Sciences in Philadelphia as the backdrop. The food stations were impeccably designed and the food was some of the most divine that I have witnessed and tasted. The service was flawless. I always enjoy working with a wonderful caterer, and 12th Street is one of the best of the best. As I was doing portraits of family and of the bat mitzvah girl, Spencer, I watched incredulously as their crew turned over the room within an hour of the venue closing to the public, to the most magical and perfect mitzvah extravaganza. I have never seen a more hard working and determined team. Location: 1900 Benjamin Franklin Pkwy, Philadelphia, PA 19103.